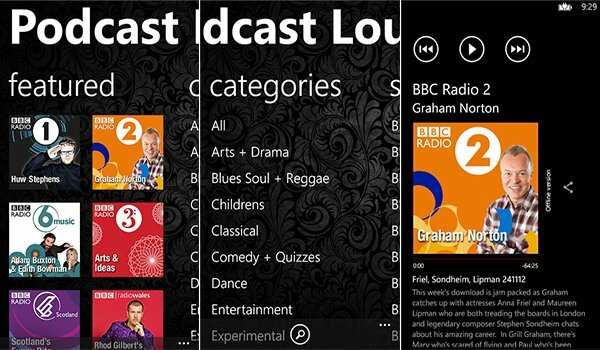 BBC Podcast Lounge, now known as Podcast Lounge, has been updated for Windows Phone. The app, now bumped to version 1.4 is a well rated podcast player that enables users to stream and download shows from a number of sources, including the BBC. The British corporation has long been shy of Microsoft's mobile platform with lack of iPlayer support, as well as podcast, radio and other media. Consumers have relied on third-party developers to bring support to the platform. Speaking of which, Windows Phone itself lacks full podcast support for a number of markets, which this app helps address. Igneous has proven their worth by offering such functionality and opening up content for those who have no official means to do so. Users of Podcast Lounge can enjoy adding favourites, configuring auto-downloading of shows (this occurs even when the app is closed - usually when the phone is charging overnight, a feature Igneous Software tells us is presently a unique feature for a Podcast app on Windows Phone) and viewing available podcasts in an intuitive user experience. 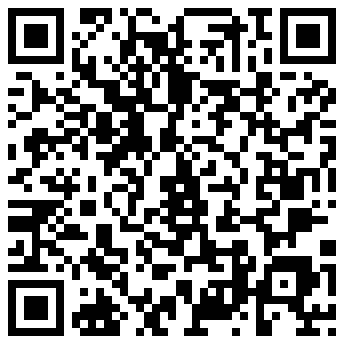 Control is available for manipulation of settings that govern downloads, storage, podcasts and more. It's a fully featured media player too with background podcast playback. So what's new in the latest release? Auto-sorting of episodes in download manager now implemented. But what's all the 'BBC references being removed' all about? We've been in touch with the developer, Richard Castle (from Igneous Software) who revealed to us complications that has arisen between the BBC and himself regarding compliance with the corporation's third-party business license. It's a complex situation, one which Castle is determined to either workaround or locate a viable solution. What does this mean for the future of Podcast Lounge? Well, as can be seen with this latest update, development is continuing and the developer isn't ready to give up hope either. The BBC has requested that all references to its brand to be removed from not only the Podcast Lounge, but also the array of Radio Player apps that Igneous Software has published for Windows Phone. It's not all doom and gloom, though. As mentioned above, we've been in close contact with the developer, stating that a future version of Podcast Lounge has a catalogue of over 20,000 unique podcast programmes - that's quite an advancement. What's more is that our very own Windows Phone Central podcast is included! We can expect to see another update released for Podcast Lounge in due course. This will look to solve the non-US issue with lack of podcasts. As for Radio Player, we'll see more programmes from other sources be included with BBC content, which will be available for consumers to enjoy without any future problems or constraints arising. We'll keep you guys posted with any future updates to both the apps and situation between Igneous and the BBC. 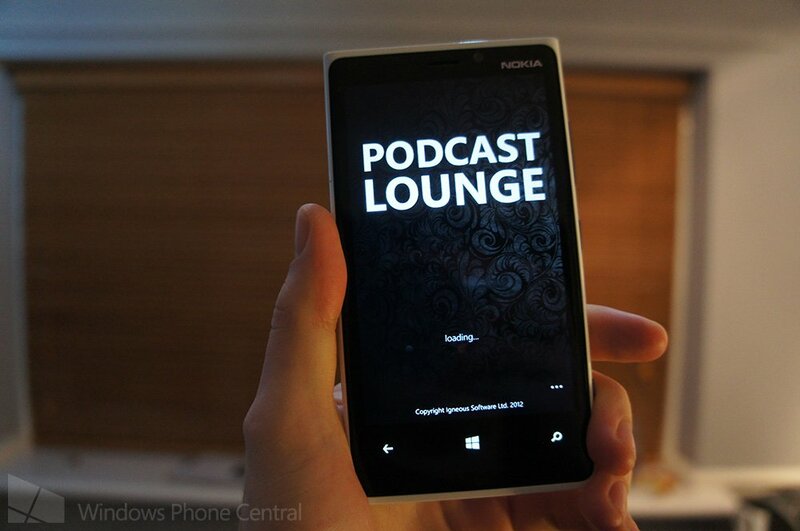 You can download Podcast Lounge from the Windows Phone Store. It's available for both Windows Phone 7 and 8 for $1.99 (£1.49) - free trial available.